Is playable even a word? 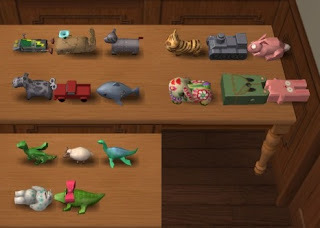 Anyway, when I saw Almighty Hat's buyable toybox toys (http://hat-plays-sims.dreamwidth.org/38197.html?thread=844597), I HAD to do that to the TS3 toys. 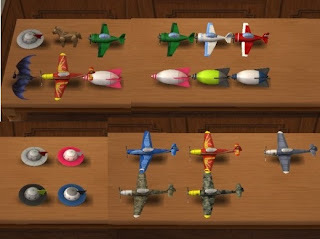 So, thanks to Almighty Hat for allowing the cloning of her toys, I give you lots of toys! 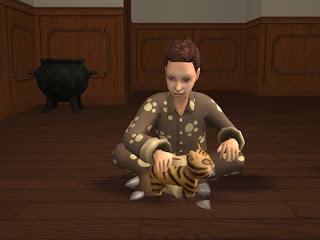 You get the 12 TS3 toys I converted, plus 5 more from meshes converted by Delonariel. (I haven't been able to find Delonariel's policy or get a response from them, so hopefully this is okay- if not I'll remove them). a dragon, sheep, nessie, alligator and yeti. These toys are found in the catalogue under Misc-> Kids, for $11, and kids will play with them like the toys that come out of the toybox. 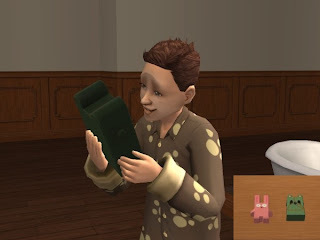 However, there is one issue: if you use these on a lot with a toybox, sims may put them in the toybox, where they disappear never to be seen again- so use with toyboxes at your own risk! also, a few of the meshes are a vertical shape, and don't work so well as horizontal toys. I turned them on their side, but they still look awkward- but you can have them anyway, just delete them if you don't want them. The "brick" toys require OFB, everything else should be base game compatible, since they're cloned Almighty Hat's which are. and Delonariel for extracting the Supernatural claw toys. Thanks for these! Just wondering though, since Hat had said the Put Away Toys issue was fixed on hers, is that still an issue with your toys after all? I was reading through the comments there, and it seemed like Hat was unable to tell... Still, very cool! Well, I cloned them off hat's fixed vrsion, but they still get put in the toybox, so I'm not sure what's happening there. I have updated the Download, so the missing toys should be there now!